Christmas 2015 is over – so what happens to all those Christmas presents? My hope especially for the skateboards out there are that they get used. Skateyogi shares this picture of sheer delight over a Silly deck. I think it’s a great picture to start off the first week of 2016 and the next couple of posts will be about girls who are out there making sure new boards get used. More girls skateboard when they see stylish girls skateboarding and get encouragement so keep sharing – you don’t have to be a super shredder to inspire someone else to skate you just have to be willing. So who’s willing in 2016? Girls skateboarding is not new. This is judioyama in 1979. What’s new is the power of Social Media and the Web. 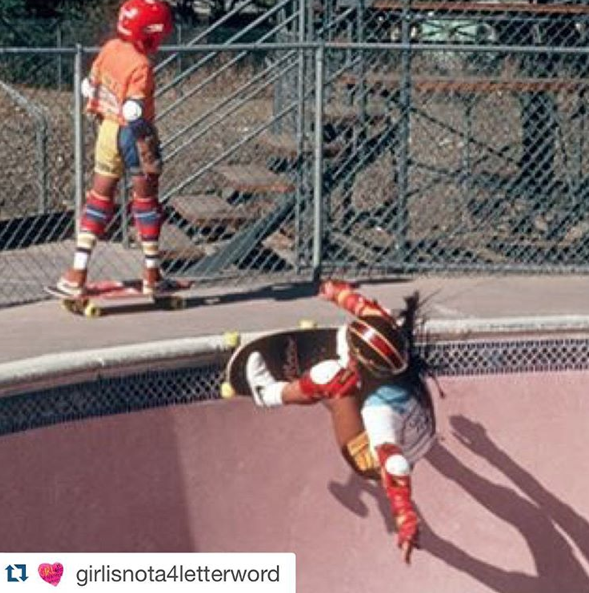 Seeing is believing and because of the internet girls can see other girls skateboarding. Thanks to girlisnota4letterword for originally posting this. 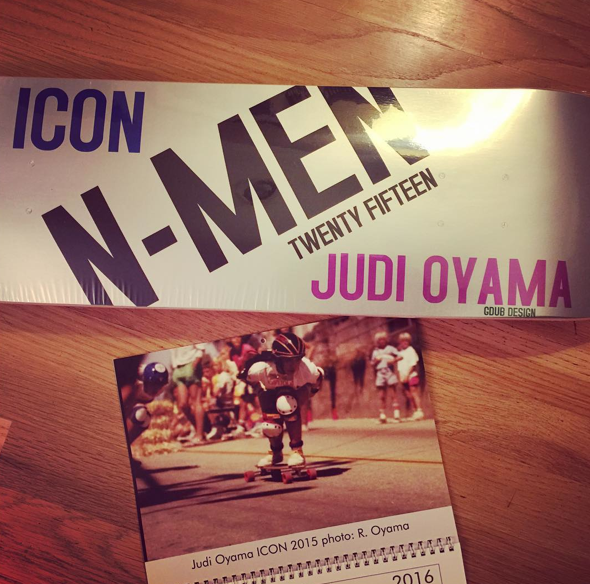 And congratulations to Judi Oyama for being the recipient of the N-Men and N-Women Icon Award. 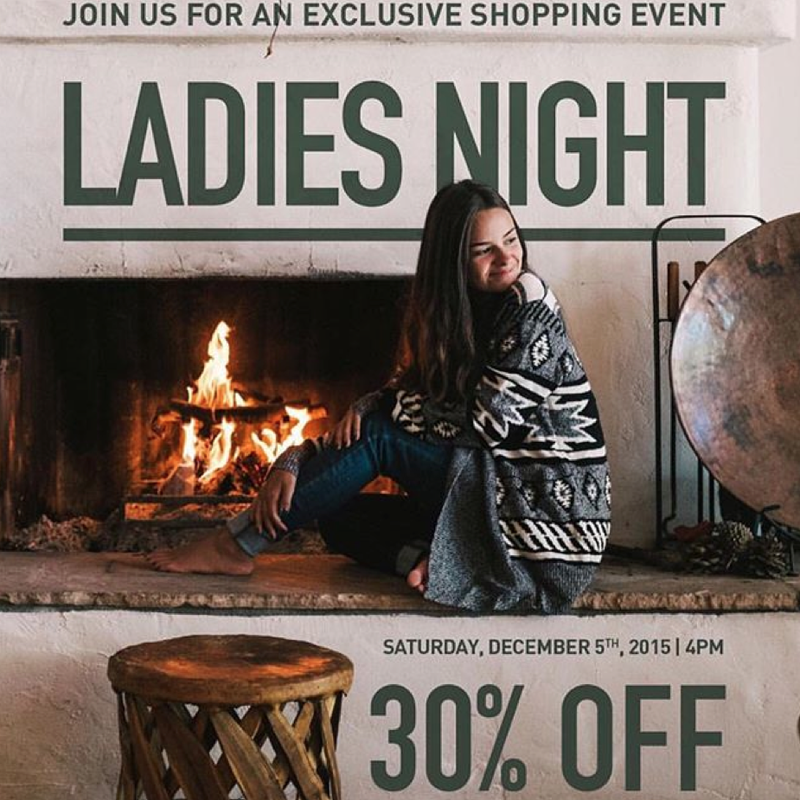 Thanks for showing us that style & girl power are timeless. So we start 2016 by knowing that girls have been skateboarding in San Jose California for many years & excited to see how many more skater girls there are all around the world – 1979 photo Michael Goldman.